Have you ever wondered how wonderful it would feel to just float away and leave all your cares and worries behind? That’s what vacations are supposed to be, but somehow they can be very stressful too, not to mention expensive. The sensation of floating is possible though, via special sensory deprivation tanks, and is probably unlike anything you’ve ever experienced before. It’s not just the uniqueness of the experience that makes it special, there are also many physical and spiritual health benefits possible as well. The experience of total silence and physical weightlessness can be a powerful backdrop to your inner practice if you have one. Even if not, you may find simply the act of being in the tank to be an effective meditative experience. You will likely find yourself in a much deeper state of relaxation than you have experienced before. After a moment of getting used to it, it is rare in our modern world to experience such a level of silence and stillness in terms of the actual environment. This degree of calm has a noticeable effect on the body and the nervous system, similar in ways to having a great nights sleep in just the right environment. However while floating, you can experience this any time of day and in an awake state to truly appreciate it – or use it with your practice. It can be fascinating, insightful and transformative to see what thoughts, visuals, emotions and other experiences arise in such a peaceful and neutral environment. If you are currently using any type of practice like self-inquiry, emotional releasing, etc. it can go very deep here. Of course, to just use it as a moment to give the body and mind a refuge from the noise and stimulation it deals with so much, has tremendous benefit in and of itself! Hypertension is the term that doctors use for what the rest of us call “high blood pressure”. Regardless of what you call it, it’s the condition you have if your heart pumps a lot of blood and you have narrow arteries for your blood to pass through. This is a condition that’s more common among older people, those who have a family history of hypertension, obesity, cigarette smokers, and alcohol drinkers. You may also suffer from high blood pressure if your diet has too much salt, too little potassium, or too little vitamin D.
Reducing the chances of hypertension is one of the more important float tank benefits, because this seemingly minor medical condition is a precursor to more serious problems later on. This high blood pressure can cause your arteries to harden and thicken, and that can lead to a stroke or a heart attack. It can weaken your blood vessels to form an aneurysm, and a burst aneurysm can be fatal. Your heart muscle may thicken and it may become more difficult to pump the blood you need, so you may suffer a heart attack. The high blood vessels can weaken the blood vessels in your kidneys so these organs don’t work properly. Or they can narrow or tear the blood vessels in your eyes and you can go blind. People with high blood pressure even have memory problems too. This is one of the main problems you can get if you’re constantly beset by stress. While you’re stressed, some of your muscles may remain tense and tight. This tension can cause headaches and lots of pain, and that includes back and neck pain. Back pain alone is very common. It’s the leading cause of disability in the world and one of the most common reasons for missing work. Every year, half of all working Americans have back pain symptoms and as many as 80% of the US population will experience an episode of back pain at least once in their lives. But spending time in a sensory deprivation tank is an excellent way to relieve the tension and the pain. It’s utterly relaxing, so you alleviate the anxiety that’s often at the very root of your muscle tension. You can more easily forget all your troubles and cares, and you can just relax. Your body finally gets a break from all the tension and stress you feel due to your work and your social situations. The relief from back and neck pain alone can make the entire experience worth your while. Can’t sleep? You’re not alone—about 33% of the population suffers from at least mild insomnia. It’s also one of the more common symptoms of anxiety, and it’s made worse by the poor sleeping habits we’ve developed through the years. We tend to stay up late to do our homework in school, and then we wake up early in the morning. We drink too much caffeine with coffee and sodas. Our beds and bedrooms aren’t as conducive to sleeping as they ought to be. But spending time in a floatation tank can really help you relax, and helping to treat insomnia is one of the more common benefits of sensory deprivation. After spending an hour or so in a floatation tank, you’ll feel so utterly relaxed that when you hit the bed that night the instant you hit your mattress. It’s as if your body has been primed for sleep, and you can wake up much later in the day if you don’t set your alarm early. For once you will get enough hours of sleep. The short term effects of not getting enough sleep include decreased alertness and performance during the day, which can be dangerous when you’re driving. Your memory can be impaired too. The long term effects include various heart problems like heart disease, heart failure, and heart attack. This is a long term problem that’s characterized by pain and stiffness in the joints. Sometimes the symptoms can get worse; this is known as a flare-up. And relaxing in a floatation tank is one of the most effective therapeutic treatments for this condition. 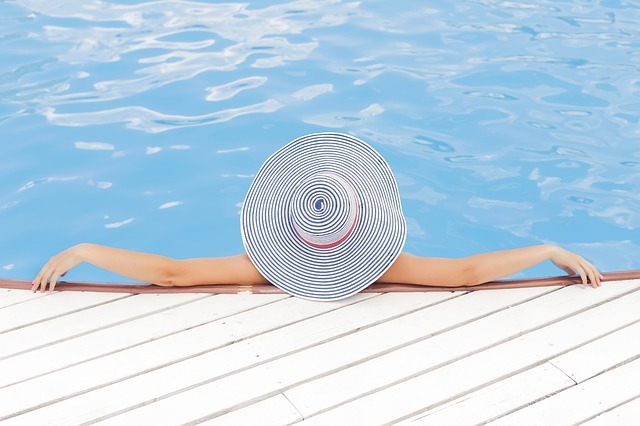 The water soothes your joints and alleviates the pain, and you can minimize the flares so you can remain mobile and pain-free. Early treatment of rheumatoid arthritis is crucial so the condition won’t get worse. And then talk to your doctor about spending time in a floatation tank as part of your treatment. You’ll find your doctor an enthusiastic supporter of the procedure, since it can really help without any risk of side effects. If you have pain all over your body and you have accompanying problems with your moods, sleep, memory, and energy, you should really consult your doctor. There’s a chance that you’re suffering from fibromyalgia. There’s no cure for this problem, but medications can control the symptoms. In addition, various stress-reduction measures can really help, and spending time in a sensory deprivation chamber is a very effective way to relax. In general people usually just go to a commercial place where floatation tanks can be used. That’s because for the most part these tanks are very expensive. 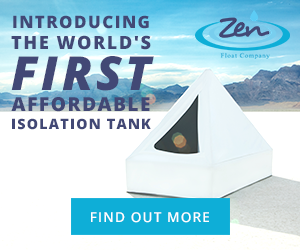 It is possible to get these floatation tank benefits without having to travel away from your home, because there’s now an affordable model called the Zen Float Tent. You can then use it any time you want, and you won’t have to deal with the cost and travel of a commercial establishment. The benefits of floating are yours for the taking.